I would also like to bring some very good news to readers who participated in my Interview with Stevie Zimmerman post. Unfortunately I did not receive feedback from all winners, so I had to select 2 other readers for Love Never Fails from Jennifer Joy and The Courtship of Edward Gardiner from Nicole Clarkston. Congratulations everyone! Please send me your contacts to ritaluzdeodato at gmail dot com so that the prizes may be sent out to you. The Courtship of Edward Gardiner by Nicole Clarkston was one of my 2016 favorite books, so you may imagine that I’ve been eager to review it and today I’m finally doing it! In this Pride and Prejudice prequel, Mr. Gardiner and Mr. Bennet with little Jane and Lizzy are traveling north to visit Mr. Bennet’s brother when Jane becomes sick. Because of that, they are forced to stop at a small town to allow Jane some time to recover, and while her father continues his trip to visit his dying brother, her uncle Gardiner stays behind to look after his nieces. This small town is none other than Lambton, and it is here that Mr. Gardiner will meet Miss Madeline Fairbanks, who will help him take care of Jane during her illness. Mr. Gardiner’s relationship with Miss Fairbanks is an endearing and adorable one. He finds in her a mixture of the best attributes in Jane and Elizabeth, and discovers she is everything he could ever desire in a woman; she is caring, dedicated to her loved ones, gentil, but also smart, humble, and used to aid her father in his business, which shows him, she is the perfect partner in life for a tradesman. Madeline Fairbanks’ impression of this young man from London is not the best at first, but soon she discovers he is everything a man ought to be, and it doesn’t take long for her to fall in love with him. I loved seeing a younger version of Edward Gardiner. I am used to see him as a knowledgeable uncle and not as an insecure young man still trying to make is place in the world. I also liked seeing a younger version of aunt Gardiner who still blushes at some remarks made from a certain young man and finds herself accepting marriage advices from Mrs. Phillips and Mrs. Bennet! But the Gardiners are not the only P&P characters in this book, by the contrary, and that was one of the aspects that surprised me the most. We will find small versions of Lizzy, Jane and Georgiana, teenagers Darcy, Bingley and Wickham along with their fathers, and even Lady Catherine and Anne make an appearance! Seeing younger versions of all these characters was absolutely amazing, it was a very different approach that could not have given me more joy while reading the book. Not only all characters are pretty much the same in temper and personality, but we get to see how and why they became the adults Austen developed. It is interesting to see, for example, how Madeline Gardiner’s influence had a great impact in Lizzy’s behaviour, how Darcy’s father’s contributed to his sense of duty and honor and how Darcy and Bingley’s friendship started. 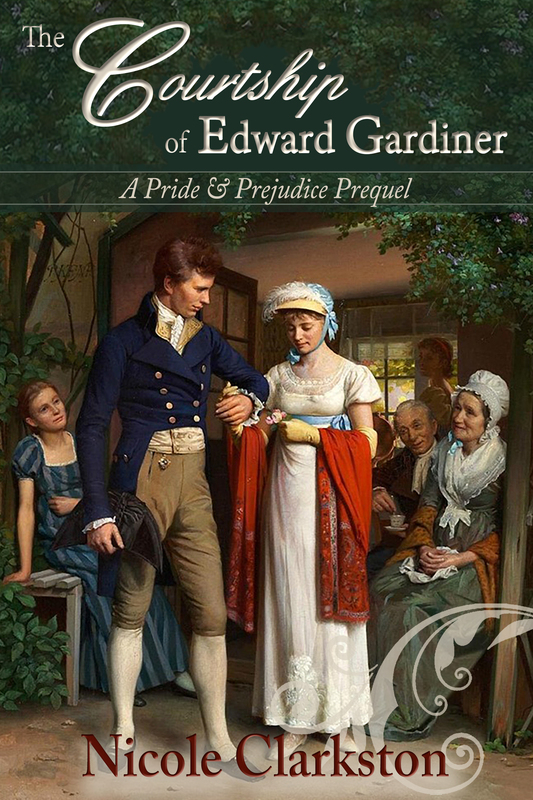 But the character’s personality and background is not the only connection between Pride and Prejudice and The Courtship of Edward Gardiner, if in P&P the Gardiners are essential to bring Elizabeth and Darcy together, in The Courtship of Edward Gardiner it is Lizzy who contributes to the happiness of the older couple.The reversal of their roles was just an example of Nicole Clarkston’s ability to play with words and situations, and bring to life a story that is perfectly harmonised with Austen’s Pride and Prejudice. The Courtship of Edward Gardiner is a light, endearing and funny book that is the perfect company for an afternoon in the couch. You will laugh to see Jane compared to her mother, to see Mrs. Bennet called a sensible woman and Lady Catherine accused of being afraid of 8 year old highwayman. Additionaly, Nicole Clarkston’s writing is fluid, agreeable and enticing. She makes us feel among the characters, and we can clearly picture every scene and every dialogue in our head. I was not expecting to love this story because it is not a Darcy/Elizabeth romance, but the story is so good and so well written that it captured my heart and ended up being one of my favourite books from 2016. The book ends with an epilogue that I loved as we see Mr. and Mrs. Darcy remembering everything that happened in Lambton during the courtship of Edward Gardiner. Last year I read the book but this year I had the pleasure of hearing it’s audiobook version and was impressed with Stevie Zimmerman’s narration once again. I already had a very good opinion of her, but I was amazed with the wide variety of voices she can make in this book. She is able to replicate not only the voices of male and female characters without sounding fake, but also small children and teenagers. 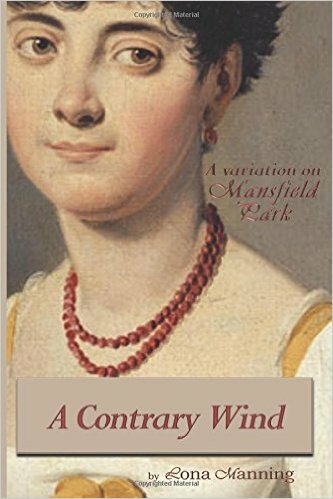 If there is any doubt she is a great narrator, The Courtship of Edward Gardiner is the best example to convince anyone otherwise. I highly recommend not only the ebook and print versions, but also the audiobook, which is the perfect company for your commutes. 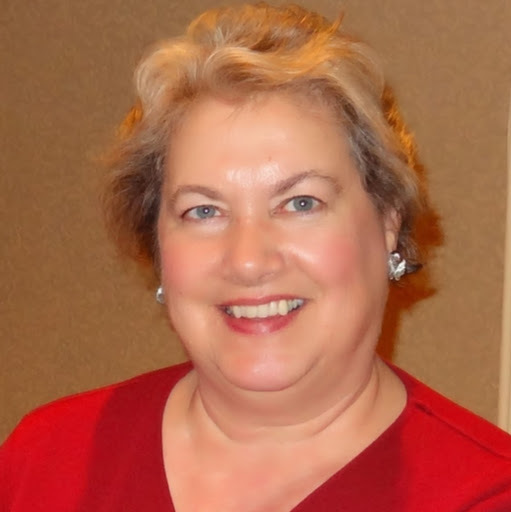 Nicole Clarkston would like to offer my readers the chance to get to know these characters a little better by offering one ebook and one audiobook copy of The Courtship of Edward Gardiner. To enter the giveaway comment this post and let us know if you would prefer the ebook or audiobook copy. The giveaway is international and is open until Valentine’s Day. Last year I devoured Darcy’s Hope: Beauty from Ashes in one day and the book caused such an impression on me that I considered it one of my favorites from 2016. 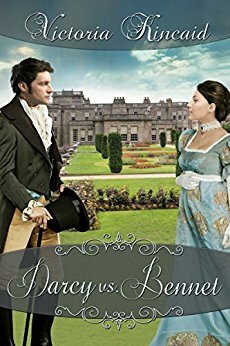 The only issue I had with the book was that the second volume, Darcy’s Hope at Donwell Abbey, would only be available in January 2017 and I didn’t want to wait that long to read it. I eagerly waited until I could read Darcy’s Hope at Donwell Abbey, and when I put my hands on it, I was once again compelled to read it in one day. I simply could not stop reading this book, and that is because Ginger Monette has a fluid and enticing writing style that make her books true page-turners. You don’t necessarily need to read Darcy’s Hope: Beauty from Ashes to enjoy Darcy’s Hope at Donwell Abbey because even if this is a continuation of the story, readers will easily understand and get immersed in this new story, but the impact this second book will have is much different if you read the first, so I recommend reading Beauty from Ashes first. Darcy’s Hope at Donwell Abbey starts with Elizabeth receiving very disturbing news that imply she is part of a conspiracy of traitors who helped German officers escape from the Allies on the continent (if you haven’t read the blurb yet, the book occurs during the first World War). She knows that traitors are convicted to death and that people associated to them will most likely be shunned by society, so in an attempt to save her own life and protect Darcy she goes into hiding. When Darcy discovers Elizabeth is missing, he understands the reasons behind this and does everything in his power to find her and let her know that the news she heard are not true, that she is safe from the malicious rumors and they can be happy together, but Elizabeth outsmarts him and assumes a new identity as a VAD nurse. She becomes Miss Juliet Thomas, the assistant of Dr. Scott, who is sent to work at Hartfield facility. In the meantime, Darcy is obliged to remain in the continent and is send to the front. Being unable to find Elizabeth, he is devoid of hope, and in an altruistic and heroic act gets seriously injured in battle. He is then sent back to England and transported to Hartfield which belongs to his family. In this new hospital he will be under Dr. Scott’s care and in close proximity to Elizabeth who will be crucial to assist him in his recovery. It is at Hartfield, close to Donwell Abbey, that our characters will face their biggest trial in life. They will suffer, despair, lose all hope and regain it once more; they will laugh, cherish each other and grow as human beings, and in the end, they will have their happy ending. This book is simultaneously powerful, intense and beautiful. It is very hard for me to cry with a book, but on Darcy’s Hope at Donwell Abbey tears came to my eyes as feelings consumed and pulled me into the story and the characters reality. The path both Darcy and Elizabeth take in this book is a dark one, and the tone is completely different from Beauty From Ashes. In this book the characters are more mature and the relationship they establish is not a passionate love/hate one, it is based on understanding, friendship, respect and perseverance. I particularly liked the fact that Darcy never gave up on Elizabeth, and that she yielded to her feelings in the end. Darcy and Elizabeth are central characters in the book, but there are several cameo appearances of other known characters such as Col. Brandon and Marianne Dashwood. The ones I loved the most were John Thornton and Margaret Hale from Elizabeth Gaskell’s North and South. If you don’t love John Thornton yet, you will once you see how crucial he will be on Darcy’s life. I hope the author writes a Great War Romance based on John and Margaret’s POV very, very shortly 🙂 The stories intertwine in perfections and I would dearly love to see this romance through their eyes and experiences having Darcy and Elizabeth as mere secondary characters. 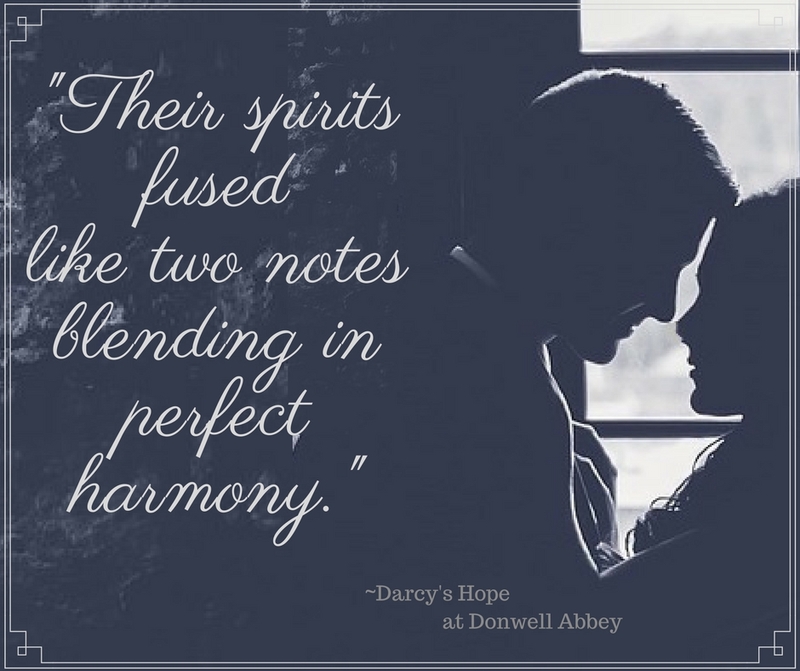 Summing up, Darcy’s Hope at Donwell Abbey is full of depth, intensity and historical romance. It is incredibly well written and the development of the characters fears and war trauma is beautifully accomplished. I highly recommend it not only to JAFF readers but anyone who wants a good historical romance. 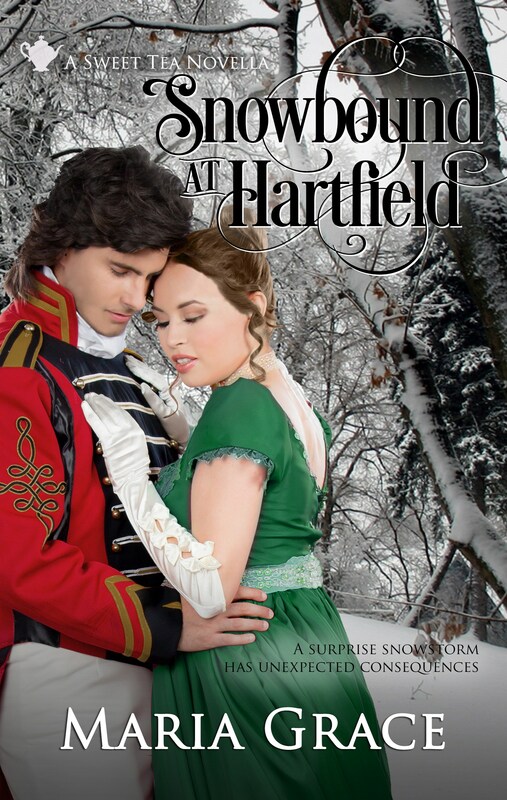 Amidst the chaos of WW1, Captain Fitzwilliam Darcy has won the heart of Elizabeth Bennet. Finally. Escape to the era of Downton Abbey in this enthralling stand-alone sequel* to Darcy’s Hope ~ Beauty from Ashes that includes appearances by John Thornton, Margaret Hale, Colonel Brandon, Marianne Dashwood, and descendants of George Knightley. May be enjoyed as a stand-alone novel, but readers may experience some minor confusions without the context of the mystery of Darcy’s Hope ~ Beauty from Ashes. 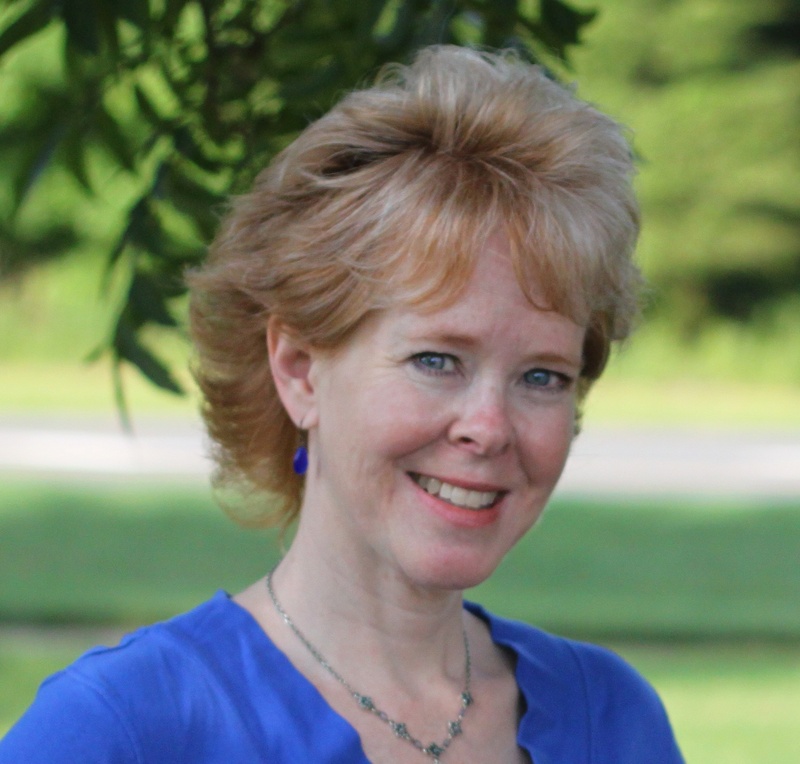 Winner of Charlotte Mecklenburg Library’s 2015 “Picture This” grand prize, Ginger lives with her family in Charlotte, North Carolina, where she enjoys dancing on the treadmill, watching period dramas, public speaking, and reading—a full-length novel every Sunday afternoon. Excited about this book? Follow the blog tour for more reviews, excerpts and information on Darcy’s Hope at Donwell Abbey.